Dr. Helen Boswell has been teaching general biology since her sophomore year in college as help to a professor. This started her on her own path to teaching as a professor and sharing her knowledge and the life applications of biology with her students. As an associate professor of biology, Dr. Boswell teaches general courses, sharing the complexities of biology and how all living forms are connected. On Friday, October 14th, the Michael O. Leavitt Center for Politics and Public Service at Southern Utah University hosted Utah Governor Gary Herbert. The Leavitt Center is a non-partisan center that works to disseminate political information and spark debate about the ever-changing world of politics and the issues that have an impact on the people of Utah and our nation. What do The Addams Family, The Munsters, Doctor Who, The Bride, and Hotel Transylvania all have in common? Frankenstein! Shalini Kesar has been in front of the classroom for over 15 years. Starting as a research assistant for Montfort University in the United Kingdom, she has taught at 5 universities across the world. Currently, she is an associate professor of information systems at Southern Utah University and director of the interdisciplinary program. Her area of expertise includes electronic commerce and gender equality in computing. On Thursday, October 27th, Congressman Chris Stewart spoke with students in the Michael O. Leavitt Center for Politics and Public Service at Southern Utah University. Stewart is the Congressman from Utah’s Second Congressional District. He is currently up for re-election. His opponent is Democratic nominee Charlene Albarran. Dr. John Taylor has been studying bats since he took a general education course where he was invited to catch bats. This has led him to studying bats in caves and mines, and also being an advocate of general education courses. Dr. Taylor is able to share this knowledge with his students and help to enrich their lives with the basic understanding of biology. Southern Utah University offers an AACSB-accredited accounting bachelor’s degree program. Nearly 100 percent of the school’s accounting graduates are employed right after graduation, with many landing a job before they have officially graduated. Accounting has proven to be a needed field of study in the world, giving students a stable career opportunity. Southern Utah University (SUU) welcomes Dr. Kristina Johnson to the center for Counseling and Psychological Services (CAPS) as a new dedicated psychologist and sexual violence prevention coordinator. Johnson started at SUU in August and helps students transition smoothly throughout the different developmental stages they experience in college and strives to make SUU a place where sexual assault is not tolerated. Halloween is less than a week away. Do you have your costume yet? Still trying to decide what to wear? Don’t worry because a good, creative costume doesn’t mean buying an expensive one from the store. By using a little imagination you can DIY a fun clever outfit in no time without breaking the bank. The following is a presentation by Michelle Orihel, assistant professor of early American History at Southern Utah University, given October 20, 2016: I’m a historian, a professional historian. I have the credentials to prove it— three degrees in history, a Bachelor’s degree, a Master’s degree, and a Ph.D. I have taught thousands of students over the course of my career and I have several publications to my name. I’m a professional. 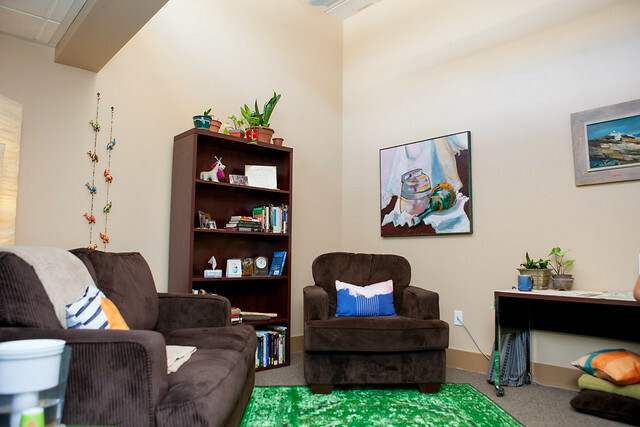 Counseling and Psychological Services (CAPS) at Southern Utah University has recently moved from the student center to a larger, dedicated storefront space at 136 W. University Blvd (Center St.) to provide a more private atmosphere for individuals seeking assistance. You have probably heard the joke before, but how do you tell if a politician is lying? Answer, their lips are moving. It is too bad that noses do not actually grow like Pinocchio’s because in this heated and uneasy political climate the stakes are too high not to pay attention and question the integrity and truthfulness of a candidate running for office. For Southern Utah University senior, Joe Petty, music has been a lifelong dream; but little did Joe know that SUU’s communication department would take his aspirations to new heights. As temperatures drop and days get shorter, it may seem like there isn't much to do in Cedar City. To your surprise, however, this small town has a lot to offer in activities and entertainment. Here are 16 things you can do in Cedar City during the fall season. The Utah STEM Action Center (STEM AC), in coordination with Carnegie Mellon University, is establishing a local CREATE Lab satellite at Southern Utah University. The CREATE, or Community Robotics, Education and Technology Empowerment, Lab is a program that empowers students with technology at young ages and will offer opportunities for young learners and SUU student volunteers. Living on a student budget can be difficult, but if you know where to look for student deals you may be surprised at what you can afford. Here is a list of local (Cedar City) and national brands that offer affordable products and services that will help you save a dime or two. Dr. Fredric Govedich began studying leeches while an undergrad student but soon was intrigued by the lack of research of available. Dr. Govedich is now one of a few experts on these under-studied species. For twelve years, he has been able to share his knowledge of invertebrate with students here at SUU.